Every month, MSF (Doctors Without Borders) treats some 200 new victims of sexual violence in the Mathare slums east of Nairobi, the Kenyan capital. A unique programme has been put in place to treat their injuries and help them overcome this trauma. "The victims we treat range from a few months to over 80 years old. Last April, we received two sisters aged 7 and 9. The oldest had been raped by a neighbour. Their mother is a single parent and works to feed her daughters, so she couldn't accompany them to the clinic and we are now concerned about what may happen to the youngest girl. "This is an example of the terrible situations experienced by many Mathare residents. It's also very difficult for us, the medical personnel, to receive patients that young with no parent," explains Ginny Ponsford, a doctor at the Mathare MSF clinic. Every month, the Lavender (both in name and colour) Clinic treats more than 200 new victims of sexual violence like these two sisters. The majority are women and children, and their number continues to grow. 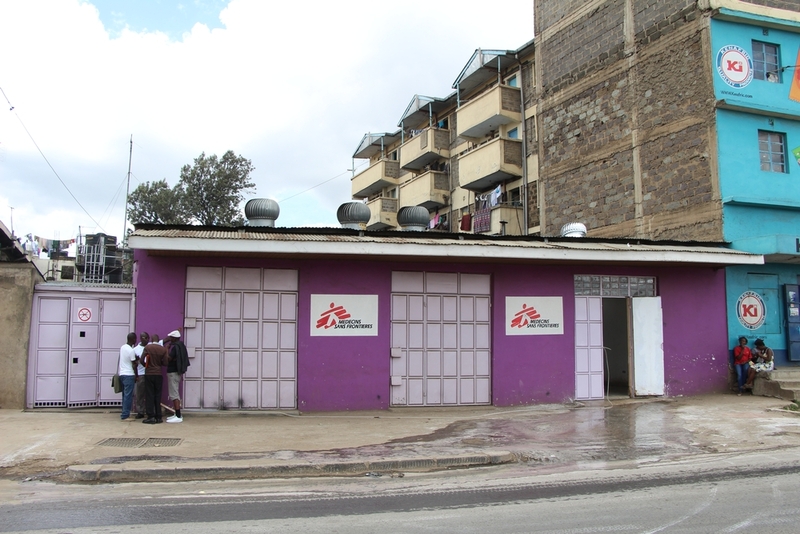 The clinic opened in Mathare in 2008, in the Eastlands neighbourhood. Located to the east of Nairobi, this slum is home to some 200,000 inhabitants who live in extremely precarious social and sanitary conditions. "In order to provide emergency assistance, an ambulance is available 24/7 to collect the victims as close to the attack site as possible. A nurse and social worker take the victim into their care and record an initial statement about the attack. "Upon arrival at the clinic, the patient meets with a social assistant who accurately documents what happened to them. "Next the victim is seen by a doctor who carries out a medical examination and provides initial treatment. A prophylaxis is administered to reduce the risk of HIV/aids transmission and other transmittable diseases. Then the victim is given a file with a medical certificate listing the injuries and wounds recorded, enabling them to press charges if they want. This is just the start of a long fight for all of these victims," emphasises Corinne Torre, programme coordinator. It has taken time for the programme to set itself up in such a vast area which is home to two million people from an extremely diverse range of cultures. A lot of field work and discussions with communities, local authorities and medical structures have been necessary in order to overcome reluctance and convince people to refer patients who have been victims of sexual violence to the MSF clinic. In 2011 the clinic needed to be open 24/7 in order to meet demand. Since then, the number of new patients received every month has continued to grow. In the first quarter of 2014, the medical teams treated more than 650 patients. The most difficult times are at night and on weekends, as problems with violence are magnified by drug use and locally-distilled alcohol consumption. Fortunately, the team has a good relationship with local authorities. Today, more than half of the patients we receive are referred by police stations. After the attack, victims also need social support, accommodation, clothes and food. MSF organises short-stay accommodation for them and works with a local network to boost victim protection. However, after this short respite, due to their poverty, victims often have no other choice but to return to their original community, where the attack occurred. So an awareness campaign has been introduced to meet with communities, make them mindful of the seriousness of these crimes and the suffering of the victims, encourage new victims and their families and friends to speak out, improve access to treatment and try to initiate violence prevention actions. MSF is currently studying the possibility of acquiring a second ambulance with a second permanent team in order to keep pace with its expanding scope of intervention - both in number and location - for the entire eastern area of Nairobi, covering a population of some 2 million people. This will spare victims from having to wait several hours for help, as they run the risk of suffering another attack. We are also planning to develop a training and awareness programme for the Health Ministry's teams so they can also take care of victims. In March 2014, the Lavender Clinic also treated 128 cases of trauma and injury. It is the sole medical structure providing free medical treatment 24/7 in the Mathare slums.